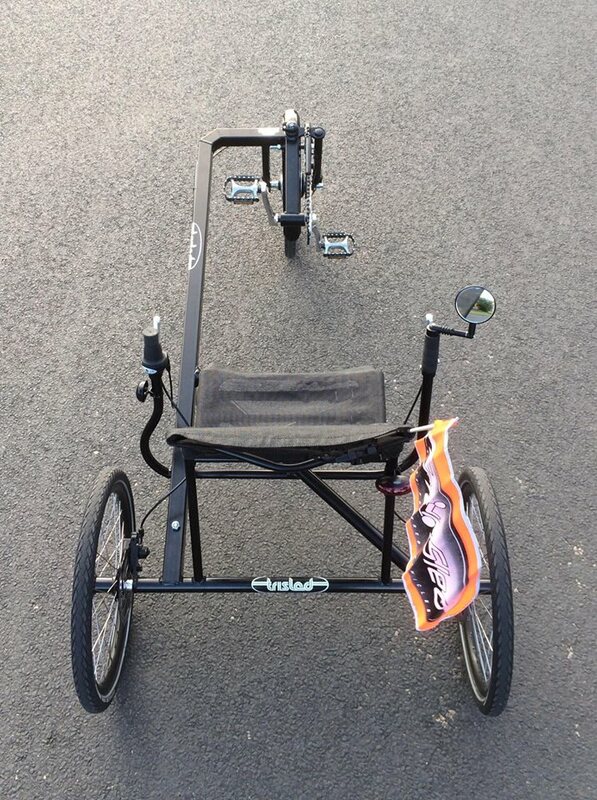 This could possibly be the most accessible way to cycle ever created! Trisled’s chief designer Ben Goodall was approached with an interesting request: “build me a trike I don’t have to sit too far down into and don’t have to lift my leg over a bar”. Given that the client has four metal joints in her legs this seemed like a reasonable request to Ben. This prototype is what he came up with in response. Nicknamed the ‘Sidestep’ we feel this concept has enormous potential for both rehabilitation elderly riders to experience the freedom of cycling. If you feel this idea could help you please contact us.